6203 Sailfish Drive, Manteo, NC.| MLS# 103878 | Outer Banks Homes For Sale, North Carolina Home Search Including Nags Head, Pirates Cove, Manteo, Kill Devil Hills Kitty Hawk, Southern Shores, Duck, and Corolla North Carolina, Oceanfront and Soundfront properties for sale and long term rentals. Beautiful Sailfish Villa three bedroom, three bath condominium, end unit, overlooking Pirates Cove Yacht Club and Marina, a world class marina and home of the East Coast Big Game Fishing Tournaments. Upgrade furnishings, granite kitchen with stainless steel appliances, gas fireplace and loft area. Ceramic tile flooring in foyer and baths. Custom stained wood window shutters. Everything a buyer is looking for is right here! 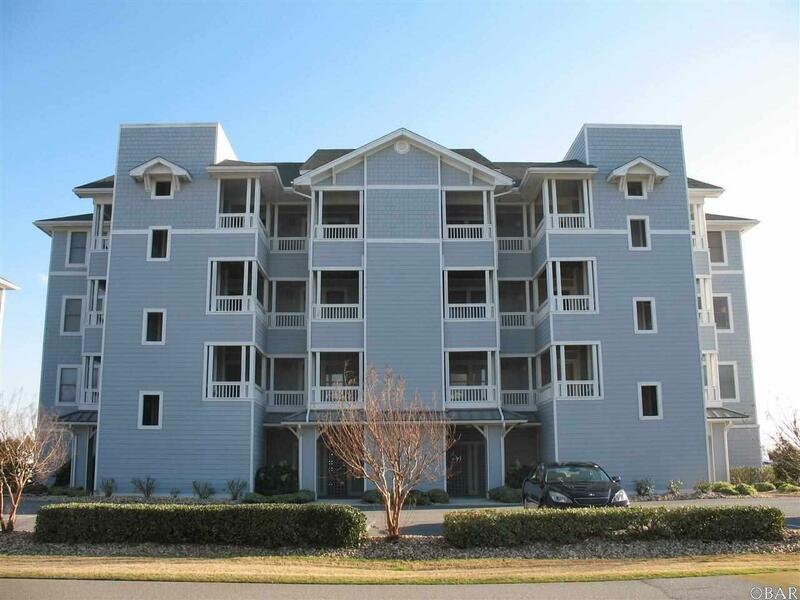 Pirates Cove amenities include (2) pools, tennis courts, fitness center, clubhouse with onsite recreational director, playground, volleyball court and just steps away from Mimi's Tiki Bar and restaurant. Pirates Cove is located just five minutes to the nearest Nags Head beach access.